Vijay Varma, Scott Field, Mark A Scheel, Jonathan Blackman, Lawrence E Kidder, Harald P Pfeiffer, ``Surrogate model of hybridized numerical relativity binary black hole waveforms", submitted to Physical Review D. Preprint arXiv:1812.07865 [gr-qc] . Michael Boyle, et al. ``The SXS Collaboration catalog of binary black hole simulations" submitted to Classical and Quantum Gravity. Prayush Kumar, Jonathan Blackman, Scott Field, Mark Scheel, Chad Galley, Michael Boyle, Lawrence Kidder, Harald Pfeiffer, Bela Szilagyi, Saul Teukolsky, ``Constraining the parameters of GW150914 & GW170104 with numerical relativity surrogates", submitted to Physical Review D. Preprint arXiv:1808.08004 [gr-qc]. Harbir Antil, Dangxing Chen, Scott E. Field. ``A Note on QR-Based Model Reduction: Algorithm, Software, and Gravitational Wave Applications," IEEE's Computing in Science & Engineering, (2018). Preprint arXiv:1805.06124 [cs.DC]. Jeroen Meidam, Ka Wa Tsang, Janna Goldstein, Michalis Agathos, Archisman Ghosh, Carl-Johan Haster, Vivien Raymond, Anuradha Samajdar, Patricia Schmidt, Rory Smith, Kent Blackburn, Walter Del Pozzo, Scott E. Field, Tjonnie Li, Michael Pürrer, Chris Van Den Broeck, John Veitch, Salvatore Vitale. ``Parameterized tests of the strong-field dynamics of general relativity using gravitational wave signals from coalescing binary black holes: Fast likelihood calculations and sensitivity of the method", Phys. Rev. D 97, 044033 (2018). Preprint arXiv:1712.08772 [gr-qc]. Jonathan Blackman, Scott E. Field, Mark A. Scheel, Chad R. Galley, Christian D. Ott, Michael Boyle, Lawrence E. Kidder, Harald P. Pfeiffer, Béla Szilágyi. ``A Numerical Relativity Waveform Surrogate Model for Generically Precessing Binary Black Hole Mergers". Physical Review D 96, (2017). Preprint arXiv:1705.07089 [gr-qc]. Richard O'Shaughnessy, Jonathan Blackman, and Scott E. Field. ``An architecture for efficient multimodal gravitational wave parameter estimation with linear surrogate models." Classical and Quantum Gravity Volume 34, Number 14, June 2017. Preprint arXiv:1701.01137v1 [gr-qc]. Jonathan Blackman, Scott E. Field, Mark A. Scheel, Chad R. Galley, Daniel A. Hemberger, Patricia Schmidt, and Rory Smith. ``A Surrogate Model of Gravitational Waveforms from Numerical Relativity Simulations of Precessing Binary Black Hole Mergers." Physical Review D, Volume 95, May 2017. arXiv: 1701.00550 [gr-qc]. Michael Purrer, Rory Smith, Scott Field, Priscilla Canizares, Vivien Raymond, Jonathan Gair, Mark Hannam. 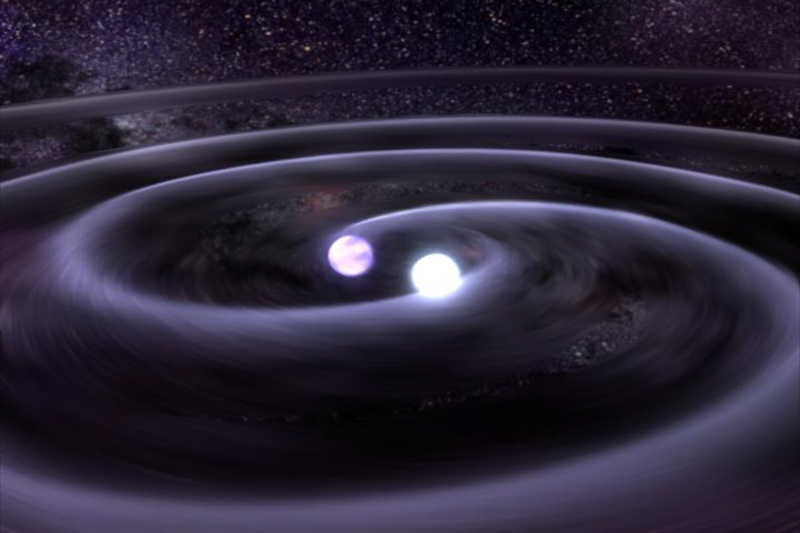 "Accelerating Parameter Estimation of Gravitational Waves from Black Hole Binaries with Reduced Order Quadratures", Proceedings of the 14th Marcel Grossmann meeting, 2015. Most of the above talks use the latex beamer class. While there are many excellent references for beamer and other latex packages, it is sometimes nice to work from an example. In case this could be useful for anyone, here are the latex beamer files for the talk "A reduced basis representation for chirp and ringdown templates".